Must be the time of year because all I can think of is FLOWERS!! I’m working on a few in larger format that will be gifts. Here’s the first one all inked and ready to go. This is such a happy illustration...I love doing flowers too however haven't done any for a long time!! Gorgeous work...love the vibrant colours and Springy feeling!! 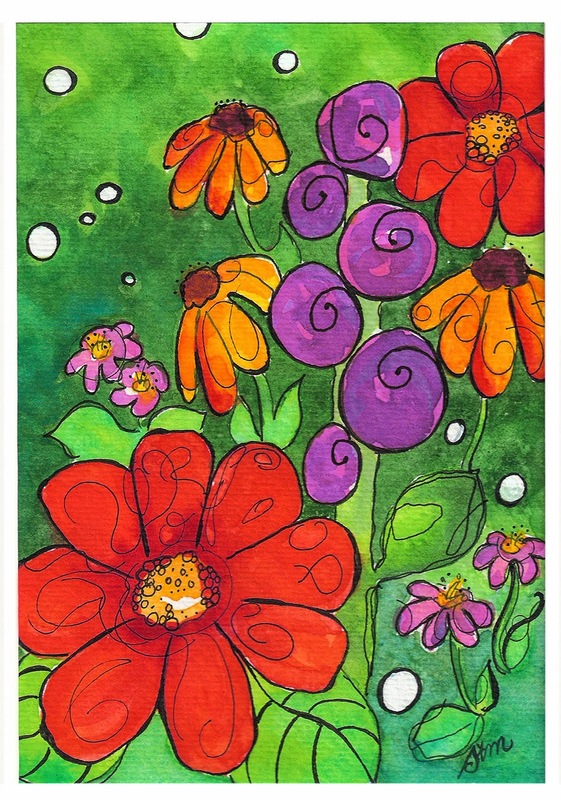 I have enjoyed this month and your flower drawings immensely! Thank you!